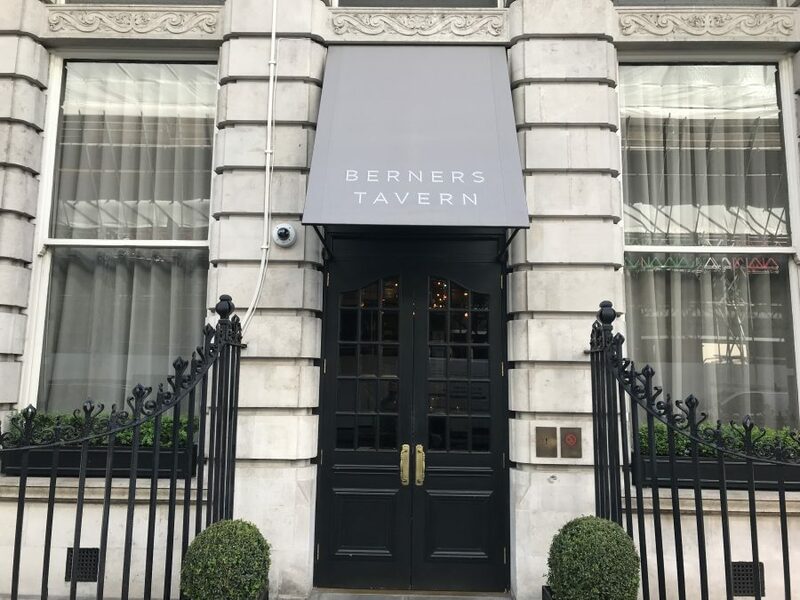 Even with all the new openings coming out our ears, one of London’s prettiest dining rooms still remains Berners Tavern, a five star hotel on Berners Street just off Oxford Street. Ian Schrager is the designer and it’s got to be some of his finest work. The giant walls are filled with photos in varying shapes and sizes, some in gold leaf frames. The ceiling has ornate cornicing, lovingly restored from its previous carnation as a bank, and huge Cinderalla-esque chandeliers. 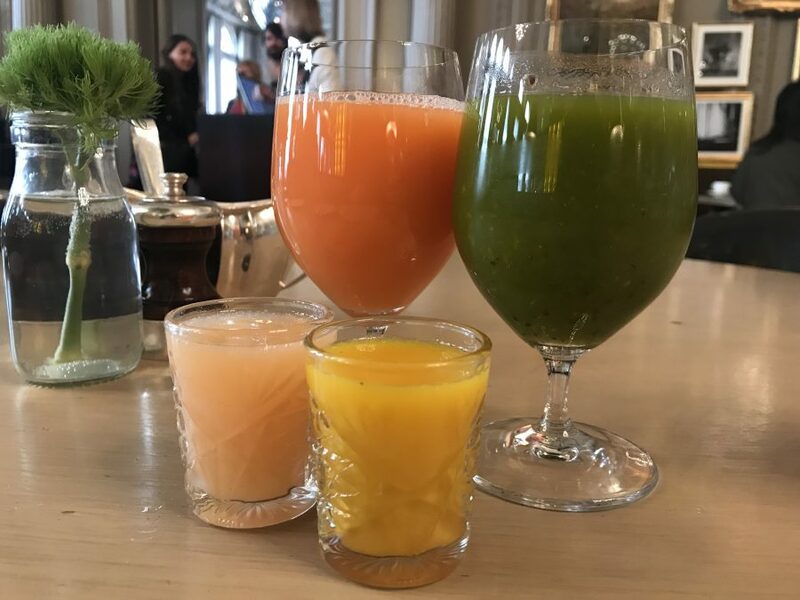 Our visit is for breakfast, and feeling all healthy we start with two juices; curly kale, cucumber, lime and apple, carrot, ginger (both £6) and two shots; ginger, turmeric, orange and lemon, chilli, apple (both £2). 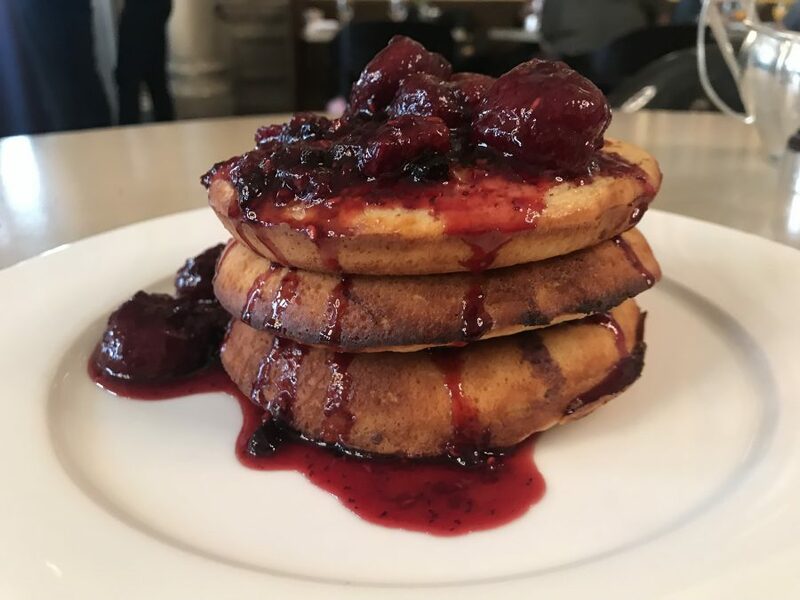 To counteract the goodness we go for pancakes (£9), big ol’ buggers the size of hockey pucks, stuffed with blueberries. They might be gargantuan but they’re so light and fluffy. A pot of blueberry compote adds pure comfort factor. 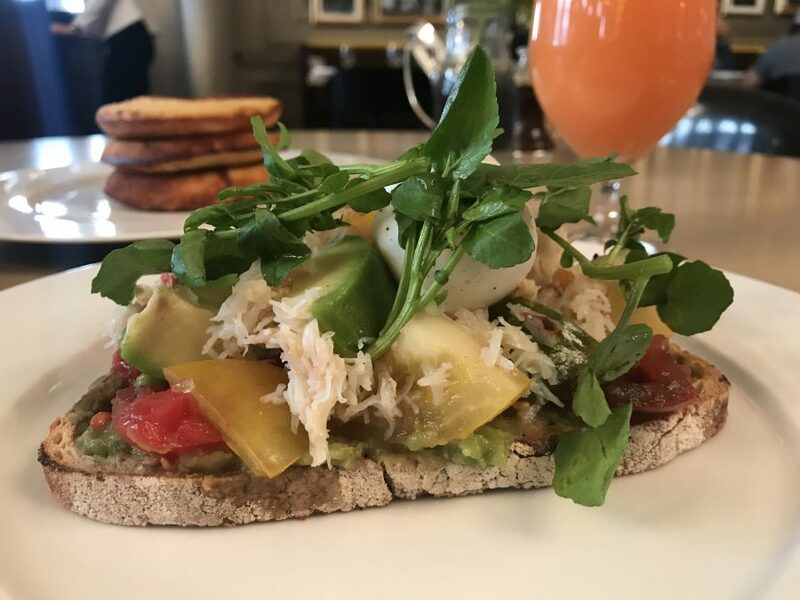 More delicate is a plate of Isle of White tomatoes, avocado, Colchester crab and poached egg atop Borough Market sourdough (£12). It’s a truly lovely blend of flavours. 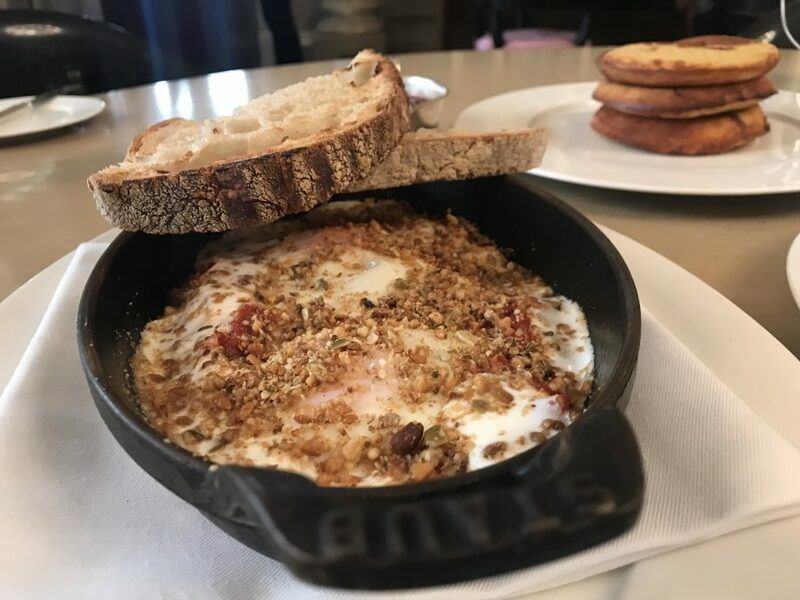 Baked eggs (£15), served in a cast iron dish, offers sweetness from the stewed tomatoes and fiery heat from harissa. A nice little topping of spiced nuts and seeds provide texture and we get more of that sourdough for scooping it all up. 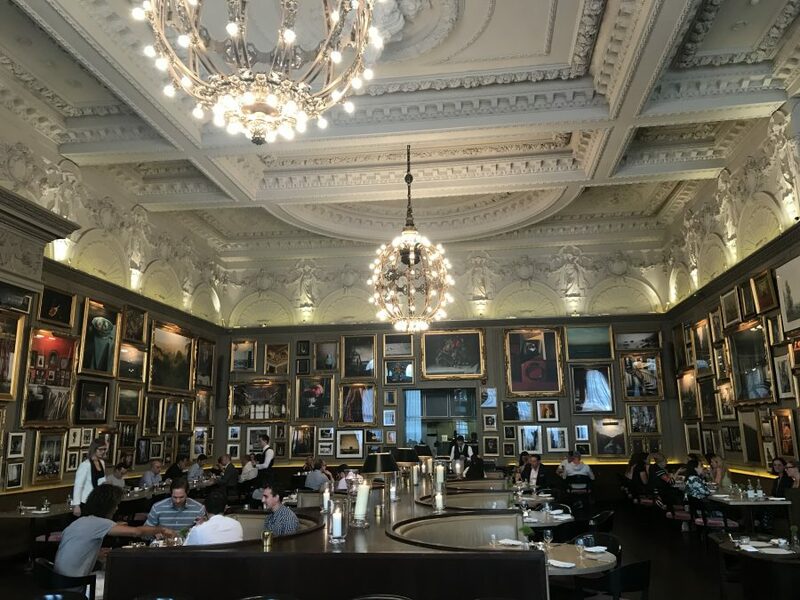 It’s a lovely place to sit and have breakfast is Berners Tavern. The room feels posh and special ocassion but with a relaxed, friendly service and casual atmosphere, it doesn’t feel posh or stuffy. This is definitely one of the more impressive restaurants in Jason Atherton’s empire.